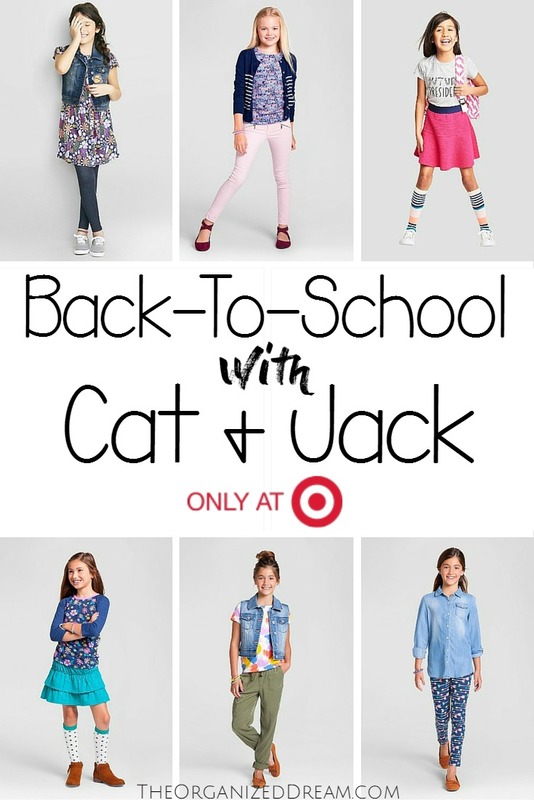 Back-To-School with Cat & Jack from Target! *Post may contain affiliate links. Your purchases through these links help keep this blog going! Thank you! Notice something new at Target? Just in time for their back-to-school season, Target has a one-of-a-kind brand that just debuted called Cat & Jack. I don't typically go goo goo for brands released at Target. After hearing some hype (and noticing everything was super affordable), I decided to check Cat & Jack out. I really like the positive vibe and flirty style this brand has to offer. I think you will, too! Can't decide what to buy? Buy it all! Don't forget that if you spend $25 on Cat and Jack clothing, you get $5 off until 7/30/16! Whoo hoo! High Five for saving money! No problem! I hope you find something you like! Super cute outfits. Thanks so much for sharing at Merry Monday.